Versus Anthology is the first Octoberguest! winner! (Entry drawn just today from our family’s big blue iced tea pitcher.) 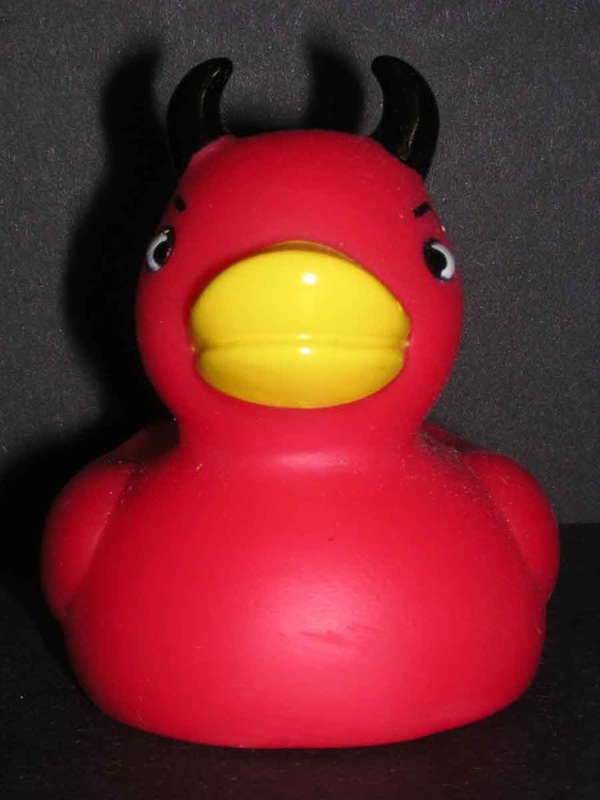 He’ll receive an advance reader’s copy of one of Mario Acevedo‘s books, as well as a Devil Duck. Congratulations, Versus! All of Mario’s commenters will also be entered to win the $100 Godiva and Harry and David giftbaskets, as well as more books. Octoberguest! continues tomorrow with Karen Dionne–Later in the week: Clair Lamb aka Answer Girl, Jason Pinter, Sharon Linnea and Shane Gericke.